Recognize it? 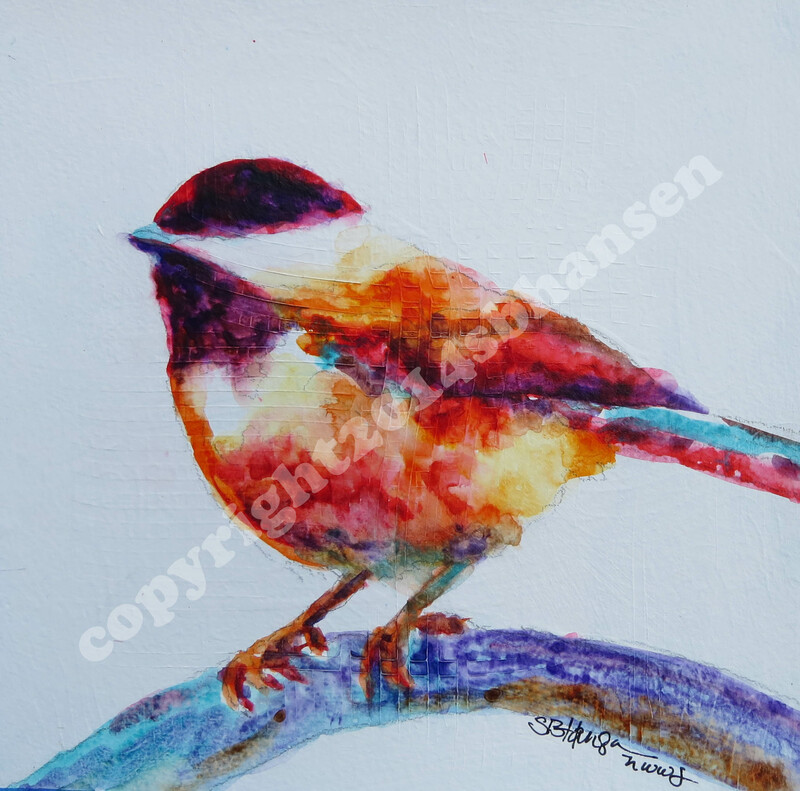 He’s from my experimental Chickadee post this weekend. Everyone seemed to like him, so he’s up for grabs today. He’s on 8×8 gessoed watercolor paper, matted into a 12×12 with foam-core backing. And in real person? The painting’s color is SO COOL! The photo does not do him justice. Message me otherwise let me know if you want this cute, happy little painting in your home. First come, first serve. Shipping charges may apply. Follow me on Facebook for more offers and events and check out my online store. Hope everyone has a fantastic Thursday! Hi Cheryl! It’s yours! Give me a call or I’ll call you. Congratulations! I’m so happy you got it.